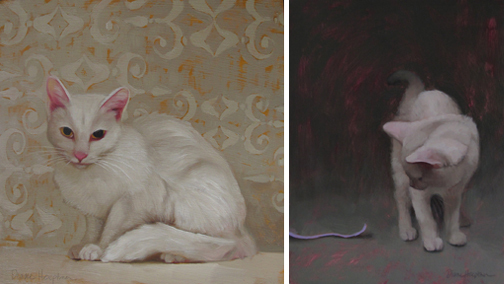 Painting white cats can be tricky, understatement. But it's good to back up and try again. I'm including "Lucretia" and "The Invitation" here... They both influenced "Yellow String." 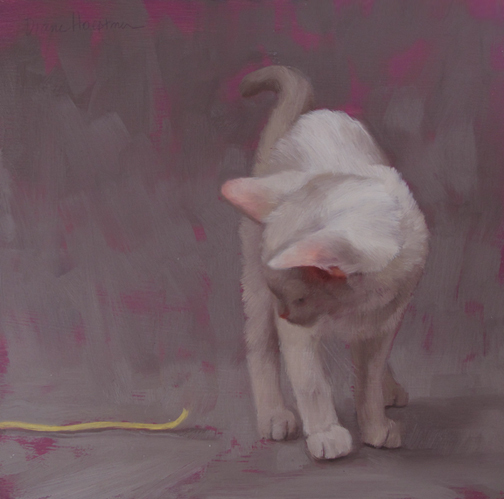 Lucretia (available here) and The Invitation, sold.